You’ll see powerful effects on your mood, creativity, memory, and more. The non-stop pace of modern life — and our 24/7 connectivity — can make getting a proper night’s sleep a challenge, to say the least. To plough through an ever-growing to-do list and inbox, many of us work into the wee hours, skimping on shuteye. In fact, 33 percent of Americans get six or fewer hours of sleep per night, according to a newly published study in the journal Sleep. That’s at least one hour less than the seven hours per night you should get, as recommended by the American Academy of Sleep Medicine and the National Sleep Foundation. Young people have an especially pronounced challenge because they need more sleep than adults: kids ages 6 to 12 need 9 to 12 hours of sleep per night, and teens ages 13 to 18 should get 8 to 10 hours for healthy development. And yet, aGenYouth and Sleep Number survey last year found that teens are losing an average of 1.7 hours of sleep per night annually, with 71 percent of middle and high school students suffering from sleep deprivation. As a culture, we’re still inclined to boast about our all-nighters as a proud testament to our productivity and commitment to work. But a preponderance of data shows in no uncertain terms that it’s nothing to brag about. A chronic lack of sleep brings about a whole host of physical, cognitive, and mental issues. It increases your risk of diabetes, obesity, heart disease, and high blood pressure. It harms your memory, focus, and learning capacity. And sleep deprivation also wreaks havoc on your emotional state, exacerbating depressive symptoms, triggering anxiety, and amplifying irritability and aggression. 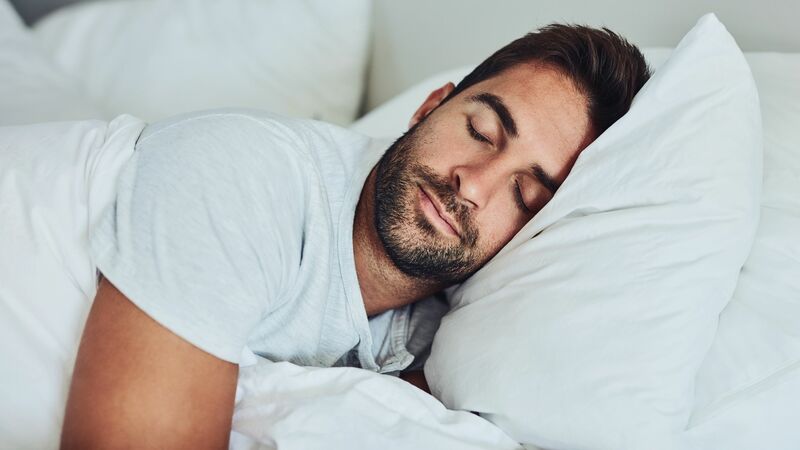 Deep sleep (the stage known as slow wave sleep) consolidates our recent memories for long-term storage, according to recent research from the University of California, Riverside. The ability to quickly and accurately recall recent work-related information and conversations is vital to both individual productivity and workplace efficiency. On a broader scale, our memories allow us to construct a cohesive sense of ourselves and our stories. Who are we if we don’t remember? As early twentieth century Canadian novelist Lucy Maud Montgomery wrote in The Story Girl, “Nothing is ever really lost to us as long as we remember it.” Memory is crucial to our self-understanding and evolution. So save that work email for the morning and start your eight hour shift (of sleep) ASAP. Those who sleep eight hours per night are more than twice as likely to discover a more efficient way to complete a cognitive task, a study from University of Lübeck in Germany found. Most workplaces today prize employees with novel problem-solving skills. Fascinating research came out last year from Cardiff University in the U.K., showing that REM sleep promotes creative ways of thinking about the memories we consolidate in non-REM sleep. Whatever dilemmas plague your brain long past bedtime, research proves you’re more likely to find your solution in slumber than in staying up past bedtime, when your brain functions less effectively and inventively. Nothing slows the pace of your workflow like an inability to concentrate, and studies show bad sleep leads to a compromised ability to focus and make decisions. Who hasn’t experienced the embarrassment of offering dumb silence to a question lobbed at you in an early morning meeting after too little sleep? Our brains fail us after a sleepless night because we can’t properly regulate the part of our brain associated with consciousness and alertness (the thalamus) and decision-making (the frontoparietal circuits). Sidestep this potentially large drop in productivity — and the resulting embarrassing blunders — by prioritizing quality sleep. Quality shuteye could improve your ability to handle stress, which Americans suffer from in record numbers. An American Psychiatric Association poll found that 40 percent of us reported being more stressed last year than the year before, and a 2017 Gallup Poll found that 8 in 10 Americans consider themselves stressed. Research out of the University of L’Aquila in Italy demonstrates that well-rested individuals are better able to regulate their emotions — they’re more adaptive and less reactive — and exhibit greater empathy toward others. Sleeping well is an easy way to avoid interpersonal conflicts and stress, which aside from being detrimental to relationships, also cause disruptions to productivity. If you suffer from chronic pain, as 50 million Americans do, according to the CDC, sleep may be your magic elixir. A new study out of the University of California, Berkeleyshowed that sleep deprivation increased reactivity in the part of our brain that processes pain (the somatosensory cortex), suggesting that better sleep quality might be a viable therapeutic model for managing pain. That’s a promising finding, considering that chronic pain adversely affects workplace productivity. Chronic anxiety makes you almost six times more likely to experience problems with workplace performance according to research conducted at Ludwig Maximilian University in Germany. Sleeping well by getting restorative REM sleep helps curb the effects of chronic anxiety, according to research from the University of California, Berkeley, which found that participants who were deprived of sleep for 24 hours experienced a 30 percent increase in anxiety the next day. With an ever-increasing number of us suffering from anxiety, especially those within the Millennial and Gen Z demographics, the news that a good night’s sleep life can reduce anxiety — and provide a whole slew of benefits — should be welcome news. This article was produced by Thrive Global and sponsored by Sleep Number. Thrive Global and Sleep Number believe quality sleep is essential for optimal health and performance. Visit sleepnumber.com to find the best sleep solution for you and wake up to your greater purpose.